A much changed Kavallieri side who were missing key players were no match for the smooth Stompers side in the first half, but the second half was a much closer matter. 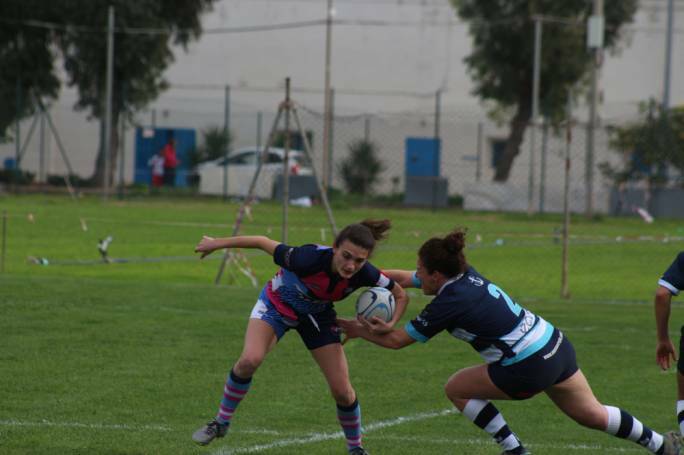 From the start Stompers kicked into flowing rugby, opening up attack after attack. Although Kavallieri defended with spirit. Pavanello opened the Stompers scoring with a try on the blind side after the forwards had driven hard to the line. All the Stompers, forwards and backs, were driving hard, staying on their feet and pumping legs. Half time score was 36 - 0. In the second half the Kavallieri were reduced by injury but strangely did much better and played with much more spirit, spending a lot of time in Stompers half. However, no matter how hard they worked they rarely looked fast enough to break the Stompers defence. Poor passing by Stompers gave away territory until a piece of vintage magic by Satariano, dummy and sidestepped, to rip open the defence and put in Meintjes for another Stompers try, converted by Attard. 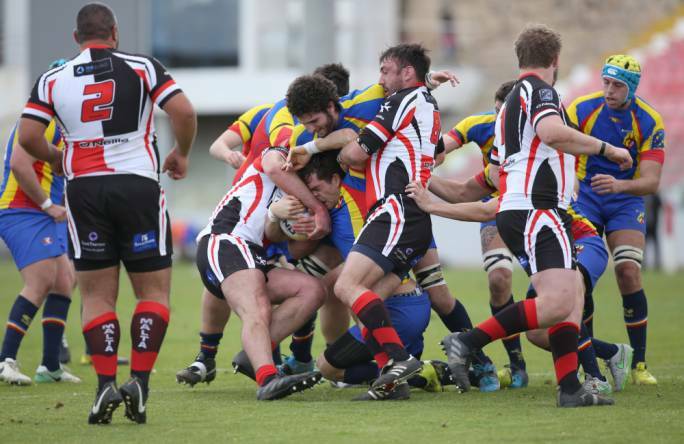 The determined Kavallieri kept up the pressure and when Bartolo was given a yellow card they upped their pace and Davey scored after a series of rucks and a thirty metre run. 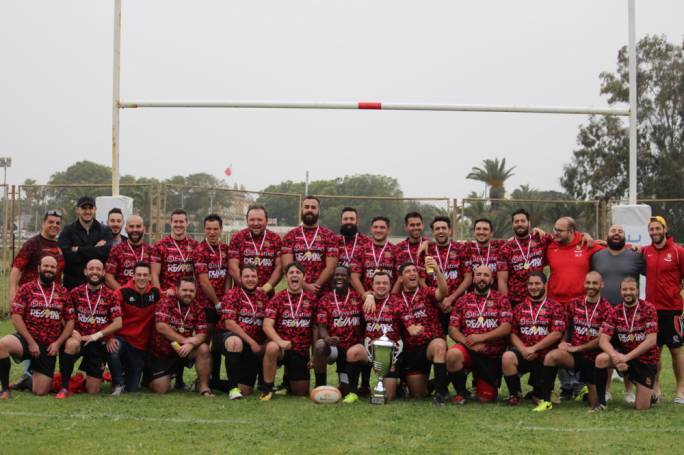 This inspired them to camp in the Stompers half but a long, seemingly aimless kick enabled Stompers to break out, cause a ruck and then distribute to M. Attard who flipped to Pavanello. He was simply far too fast for the cover and ran in a final try, converted by Attard.